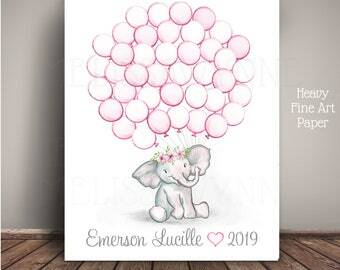 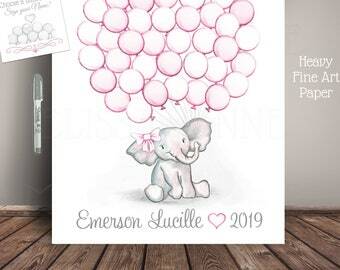 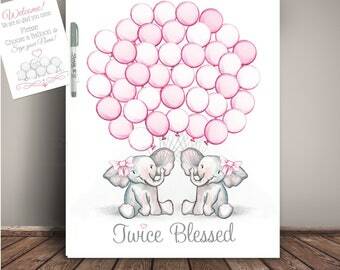 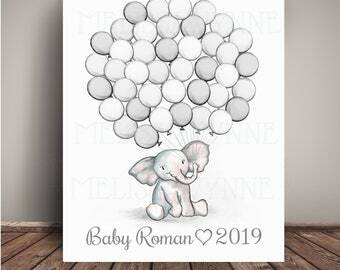 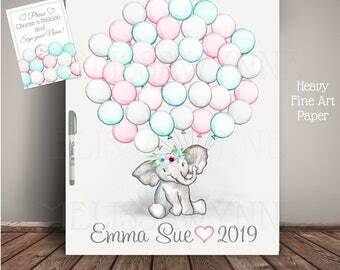 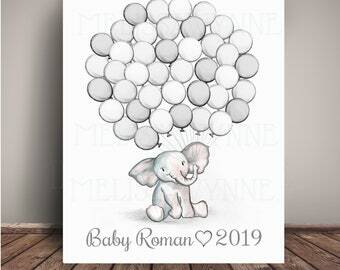 This Elephant Nursery Art doubles as a Twin Baby Shower Guest Book Alternative or Birthday Guest Book - This personalized Art is printed on PREMIUM Satin Finish Fine Art Paper with high quality inks (See images for product images). 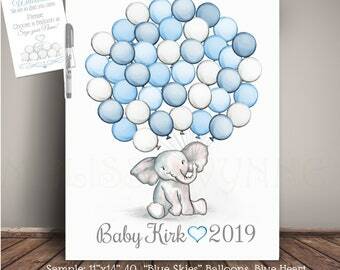 Elephant Baby Shower Guest Book Alternative. 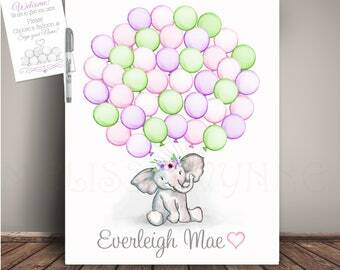 Guest Sign a Balloon! 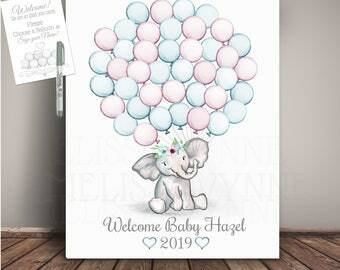 Choose the balloon, Elephant Head Accessory and Text and the Font Style and Color. 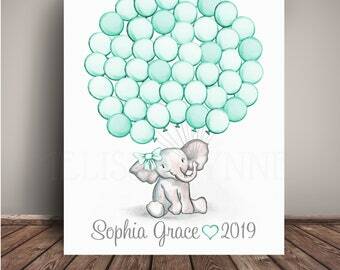 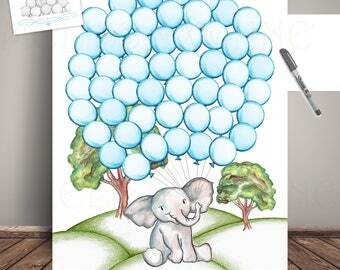 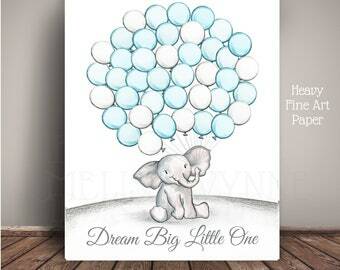 Baby Elephant Baby Shower Guest Book Alternative - Guests sign a balloon! 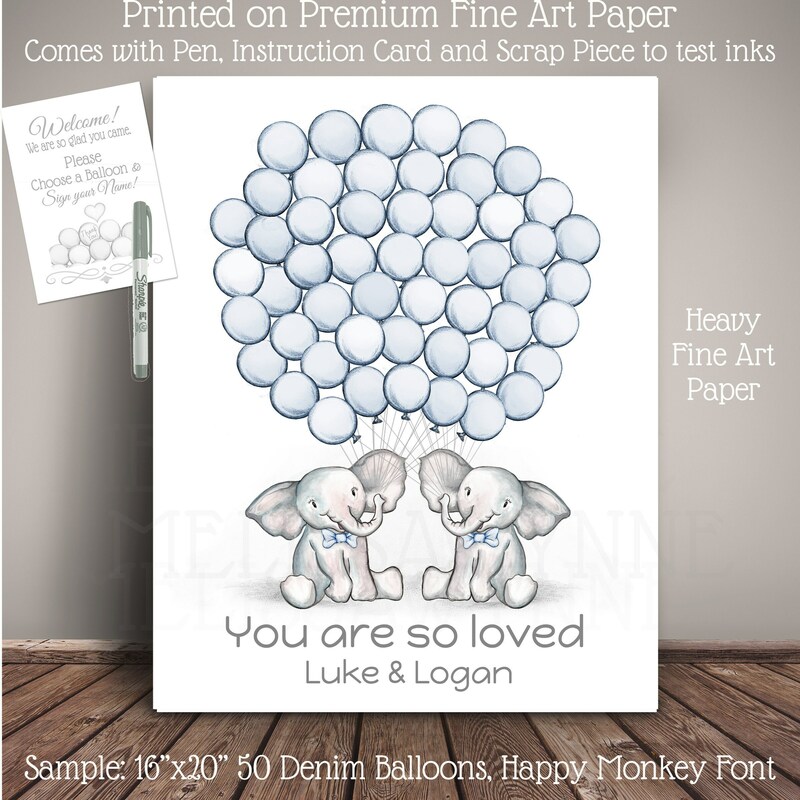 Tons of compliments. 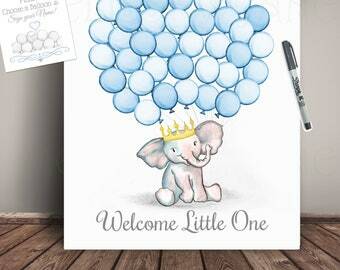 I am obsessed, taking this to two showers and so happy to be able to have a keep sake of all guests.